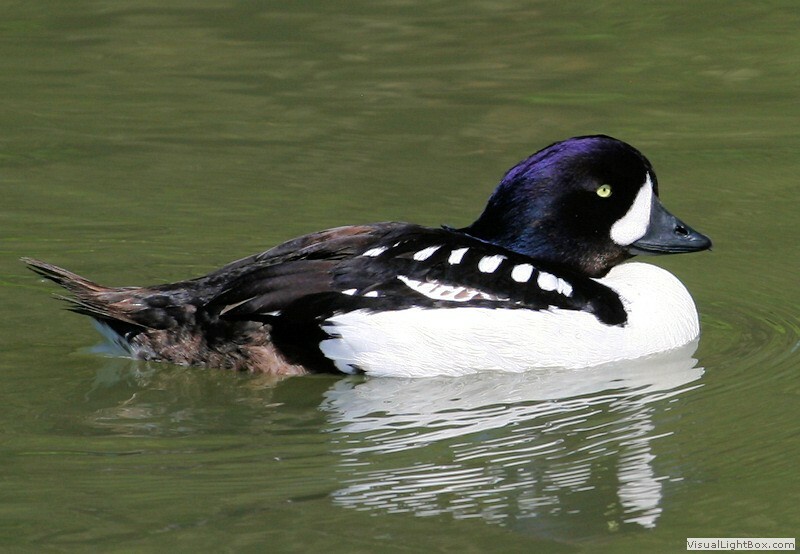 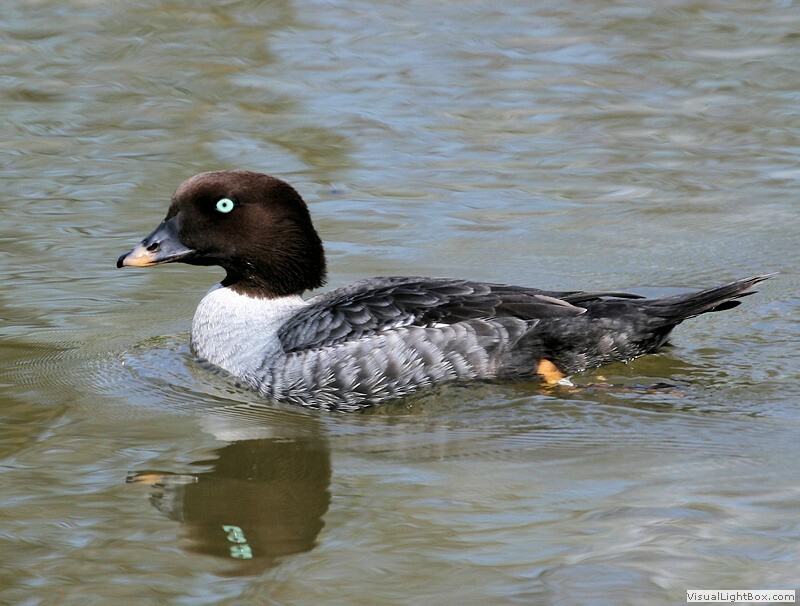 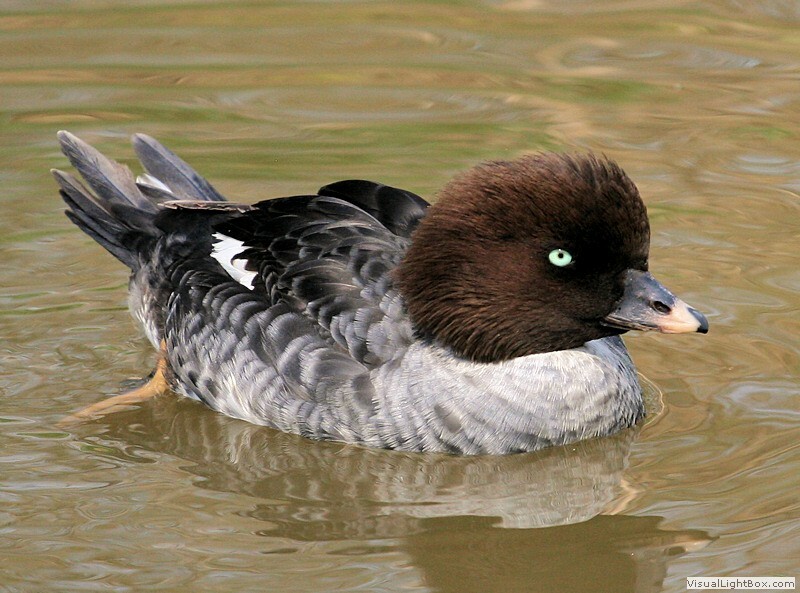 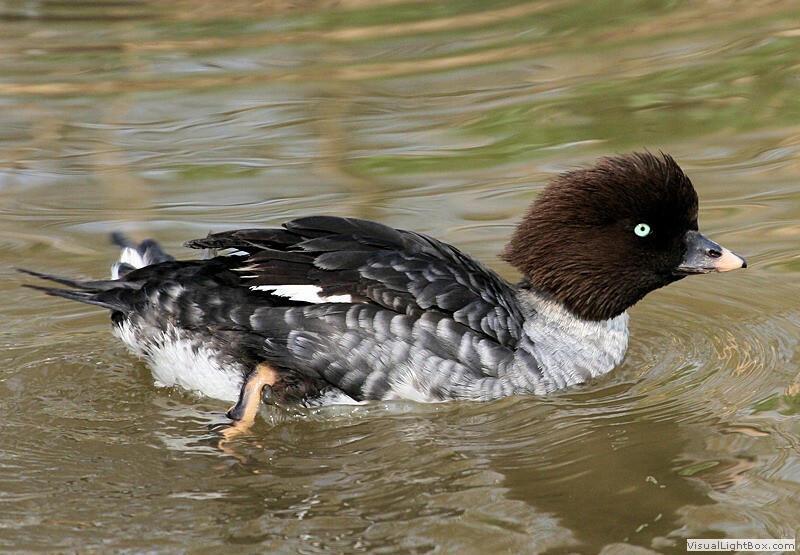 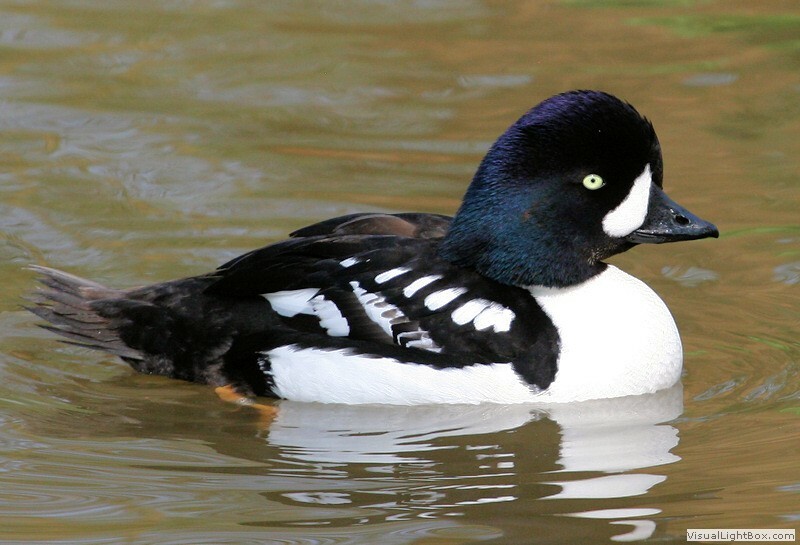 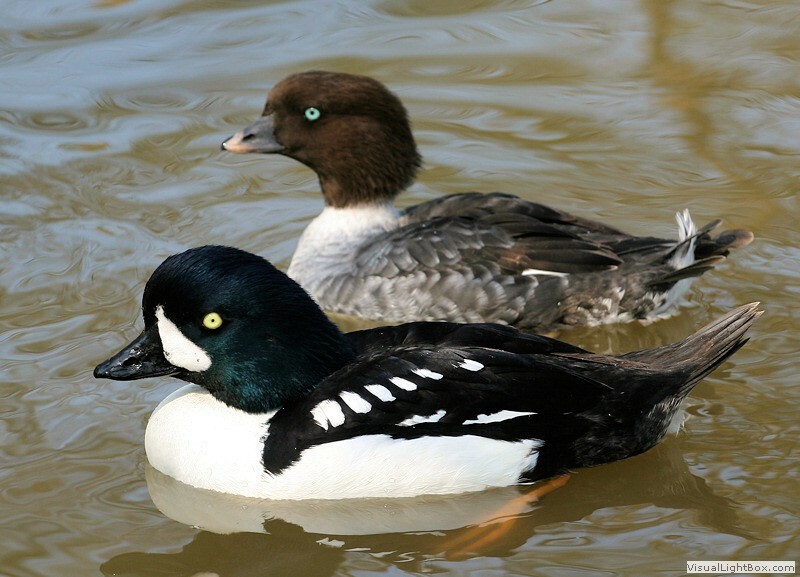 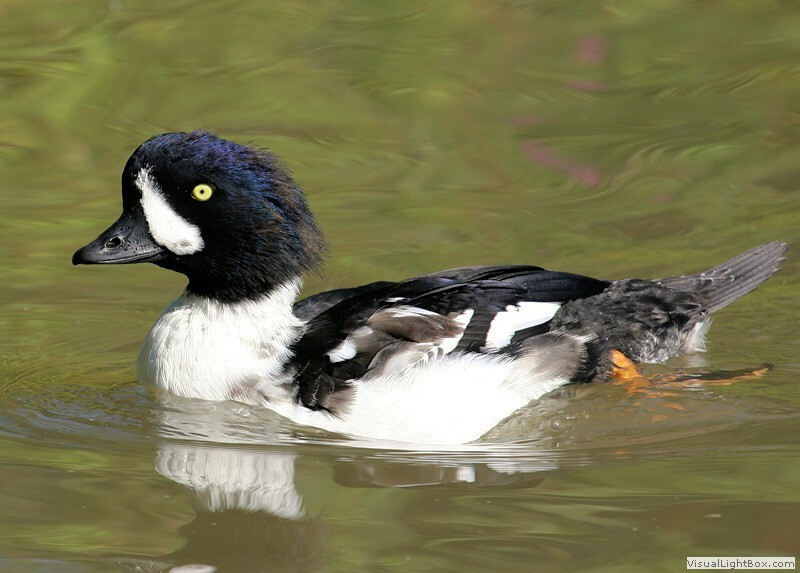 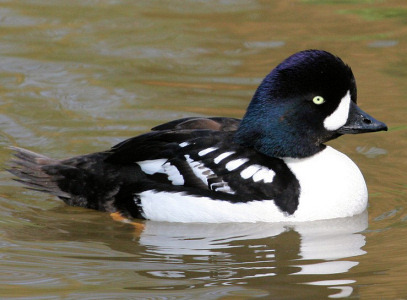 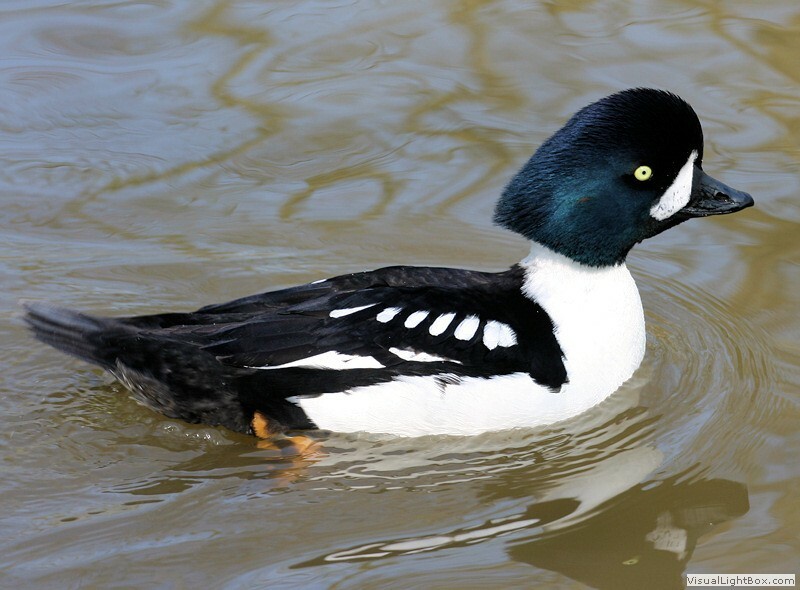 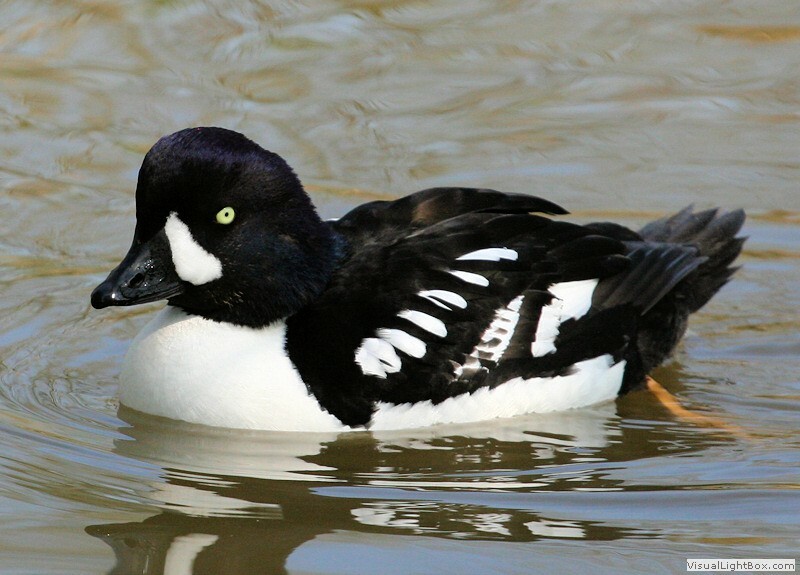 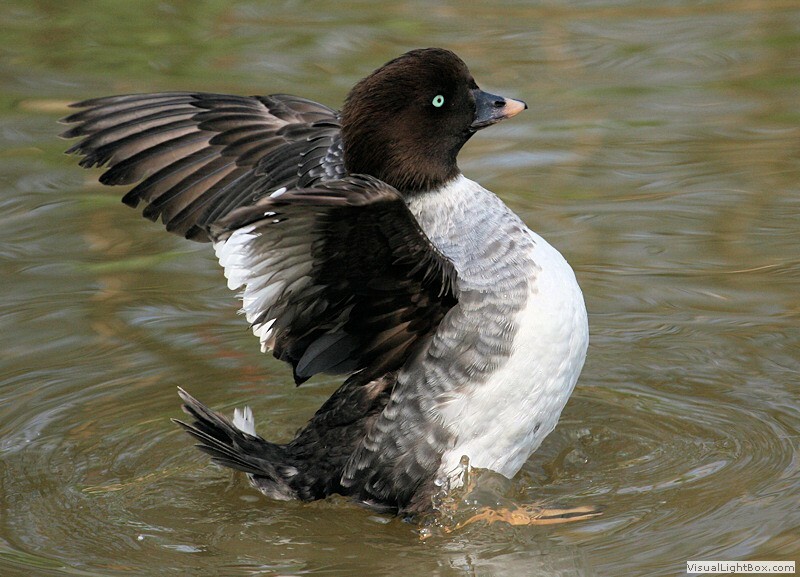 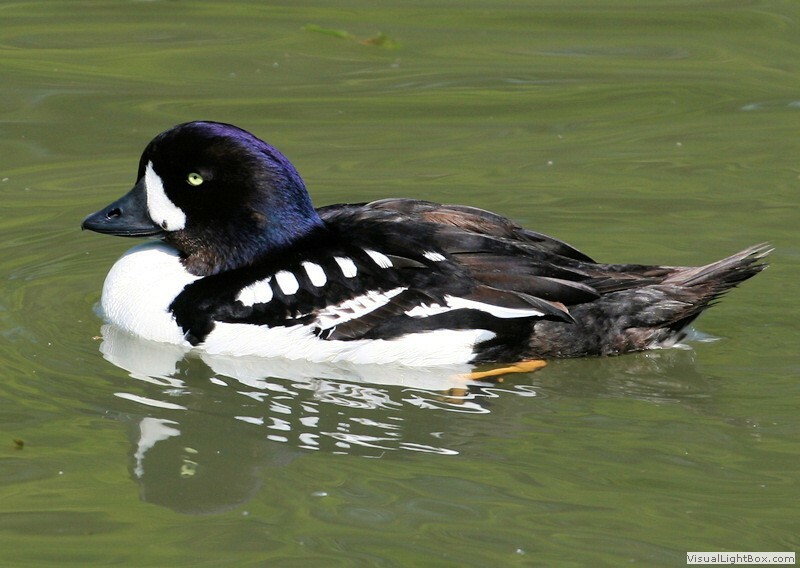 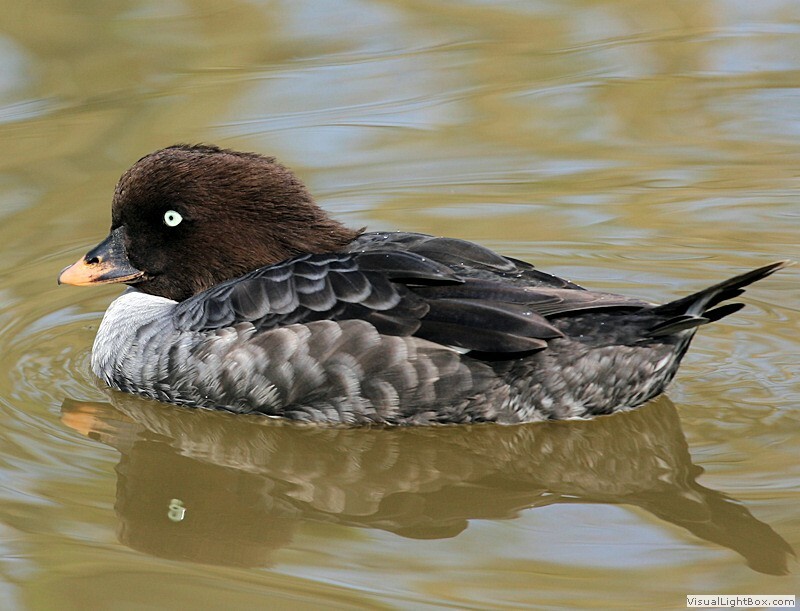 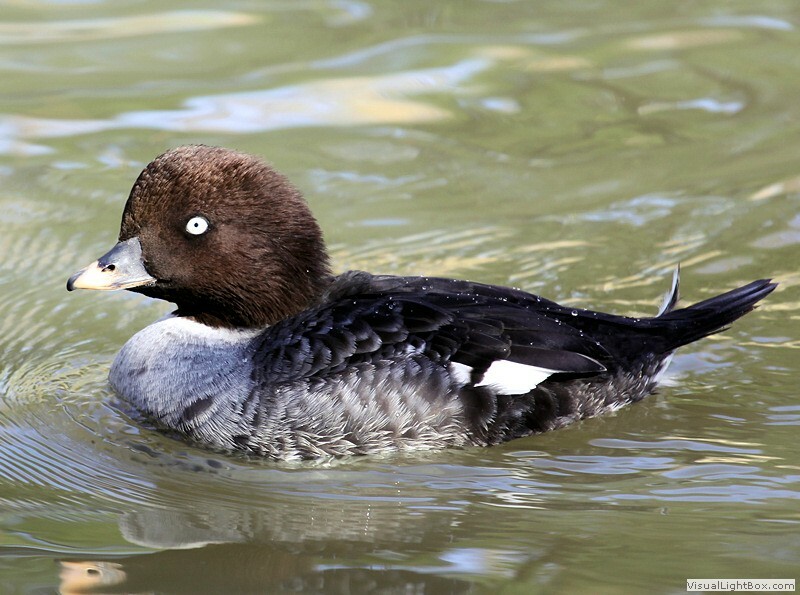 Identify Barrow's Goldeneye - Wildfowl Photography. 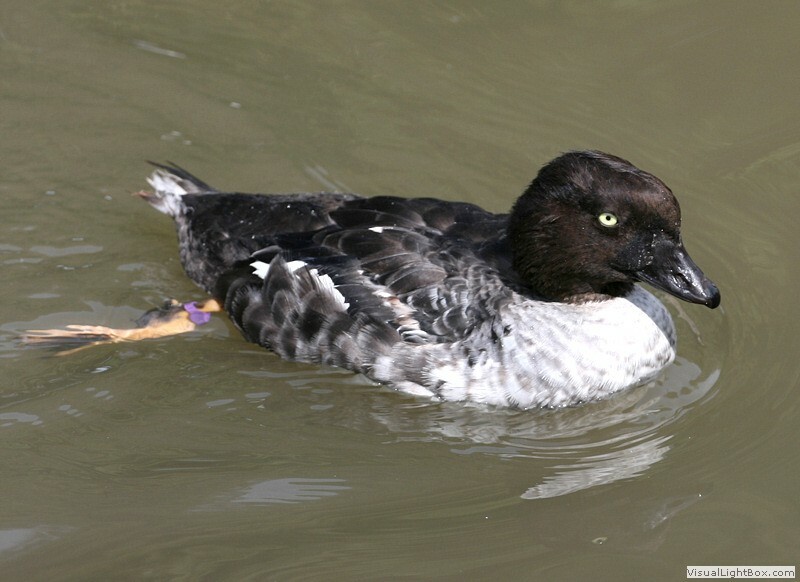 Male - The male Barrow's Goldeneye has a black head with metallic purple sheen, a distinctive white crescent shaped mark near the base of the beak, blackish beak, bright yellow eyes, black back, and tail, with white neck, breast, and underparts, white markings on the black wings, and the legs and feet are yellowish. 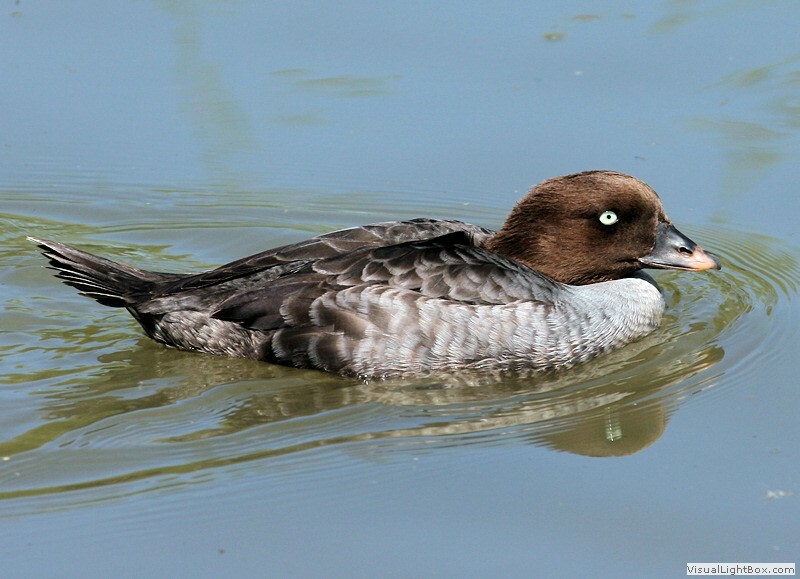 Female - The female has a chocolate brown head, a whitish collar, the breast, flank, and vent are grey-brown, a whitish belly, upperparts are a mottled dark-brown, upperwing is dark grey-brown with whitish tips, the beak is yellow, and the eyes are pale yellow. 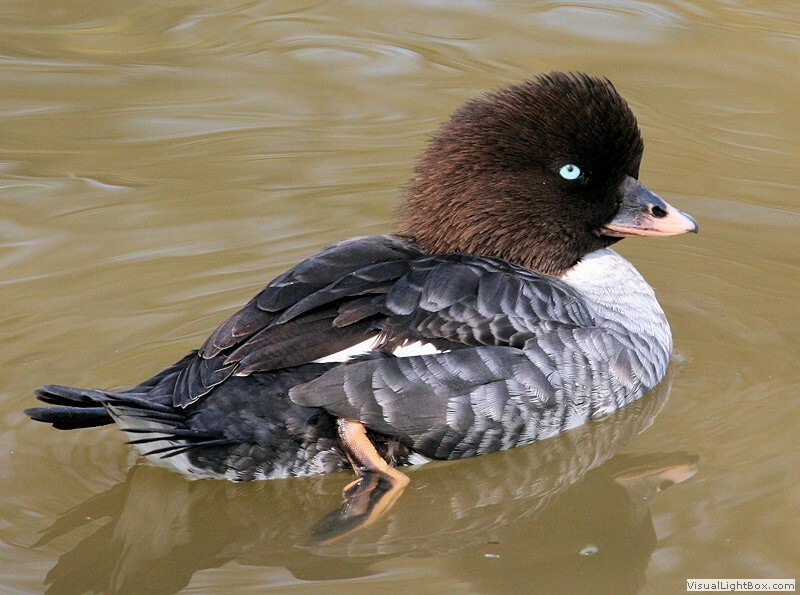 Eclipse - The male in eclipse plumage is similar to the female but has a darker head with usually a whitish marking on the face and visible white markings on the wings. 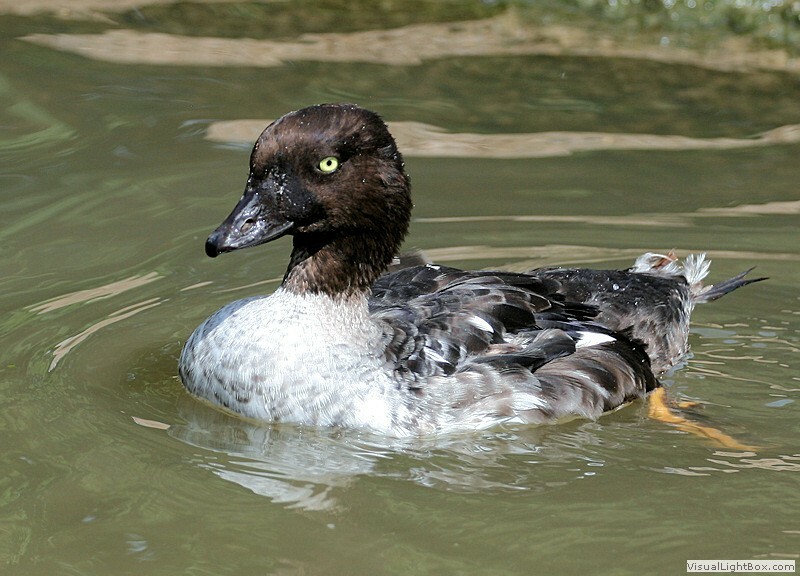 The eclipse male differs from the female in having bright yellow eyes and a blackish beak. 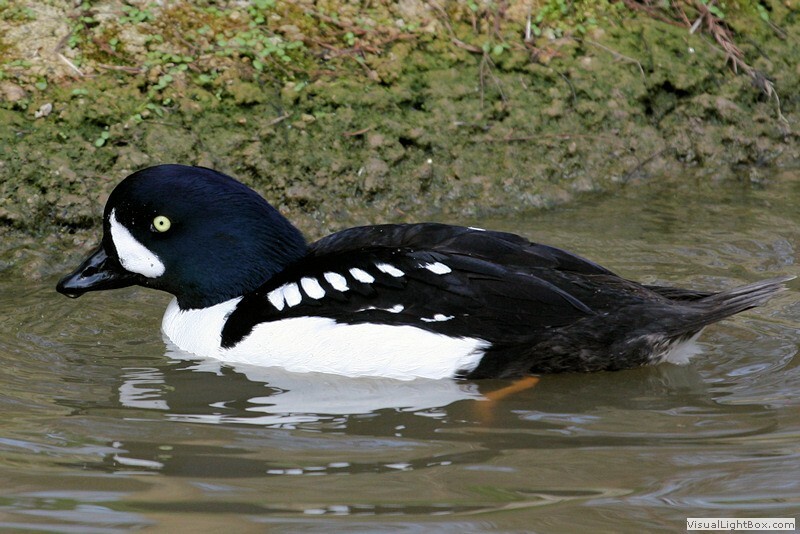 Size: - Typical Adult is 43-48cm (17-19in). 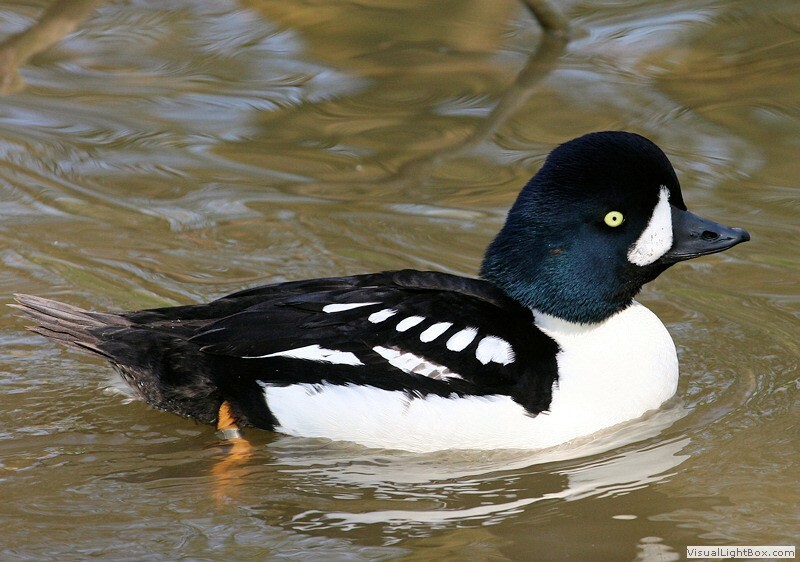 Food: - Dives for molluscs, crustaceans, aquatic insects, also aquatic plants, and leaves. 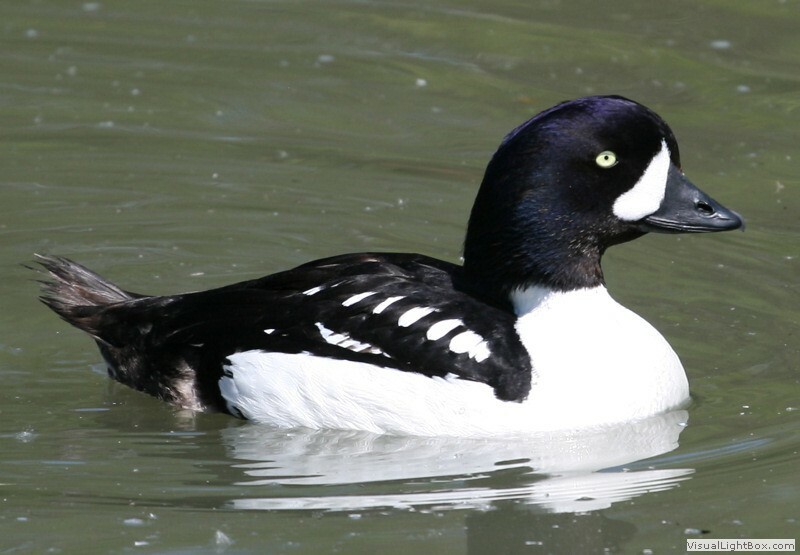 Habitat/Range: - Large freshwater wooded lakes, ponds, rivers, and coastal waters mainly in western North America - Canada and the USA, also eastern North America, Greenland, and Iceland. 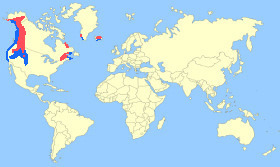 Winters on the west and east coast of North America, south-western Greenland, and in the south of Iceland. 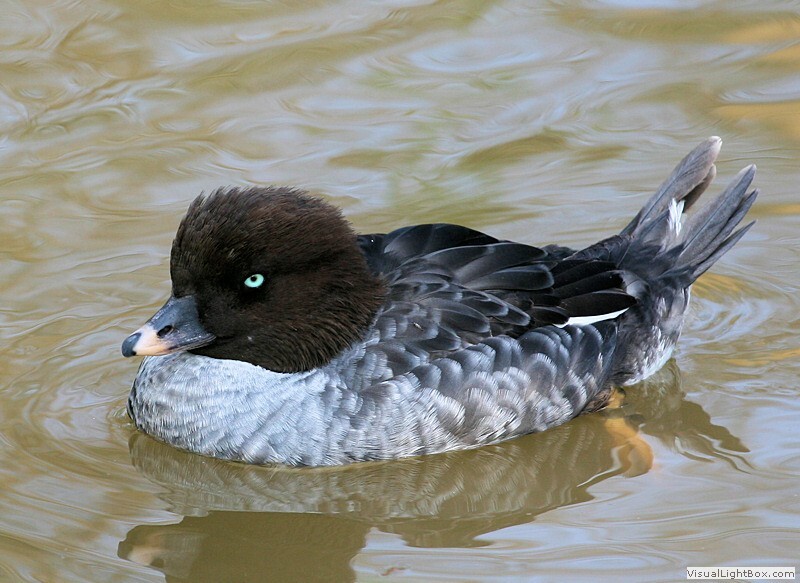 Eggs: - 8 to 14 (bluish-green colour). 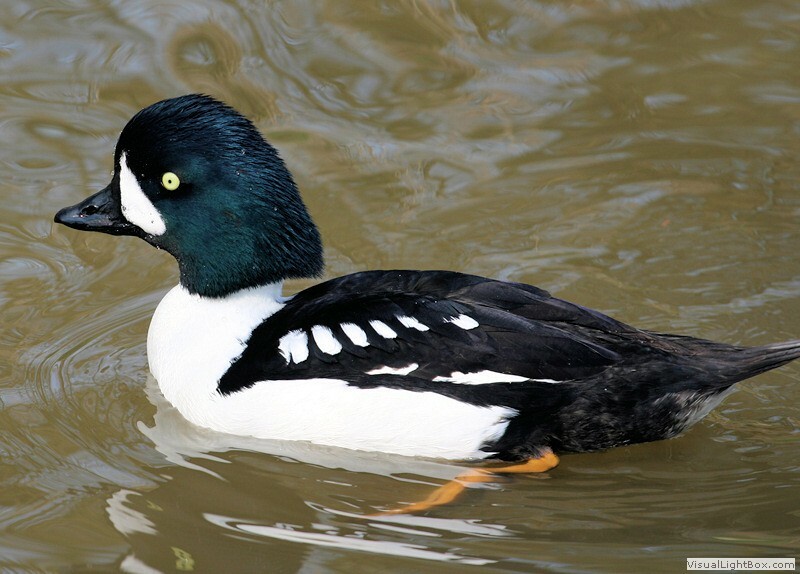 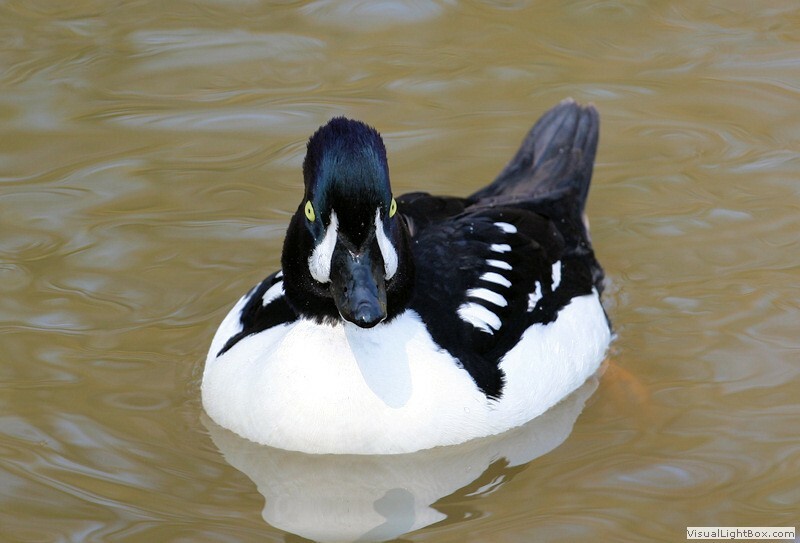 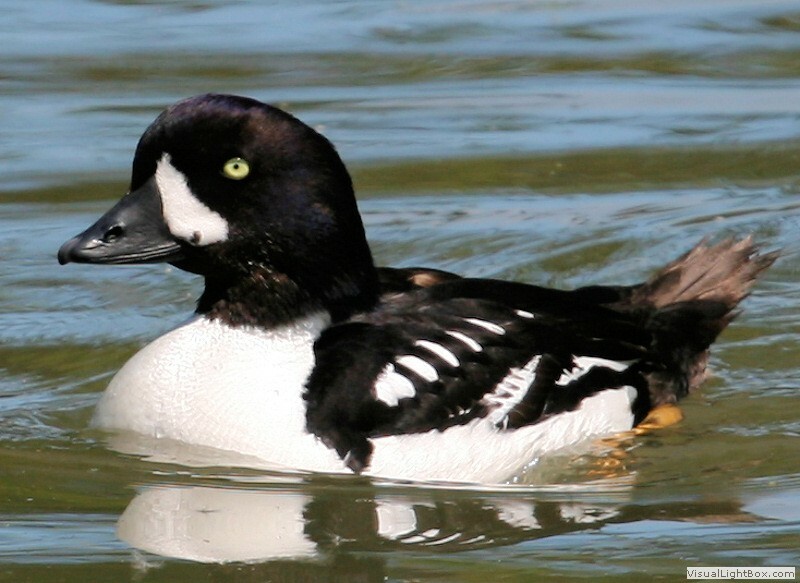 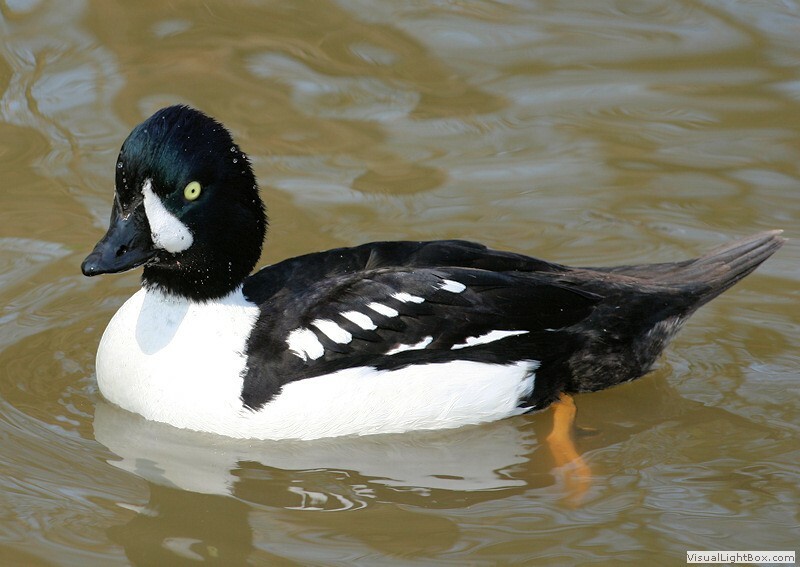 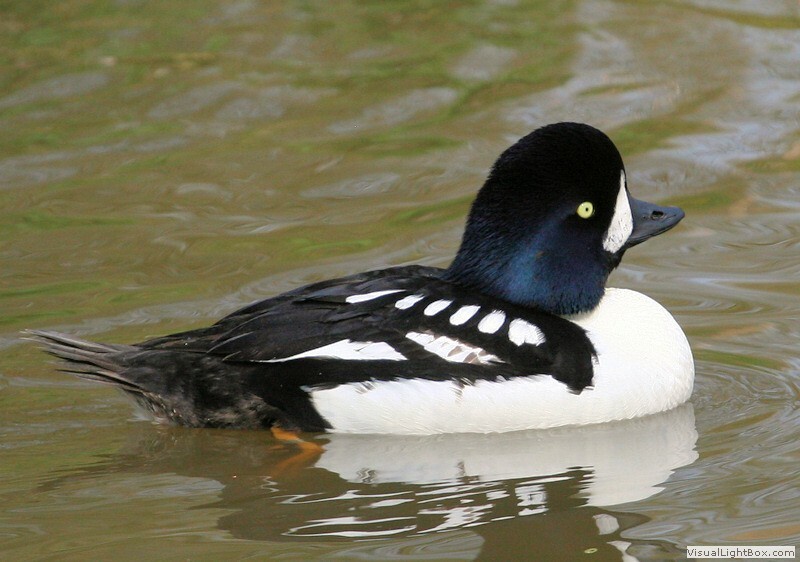 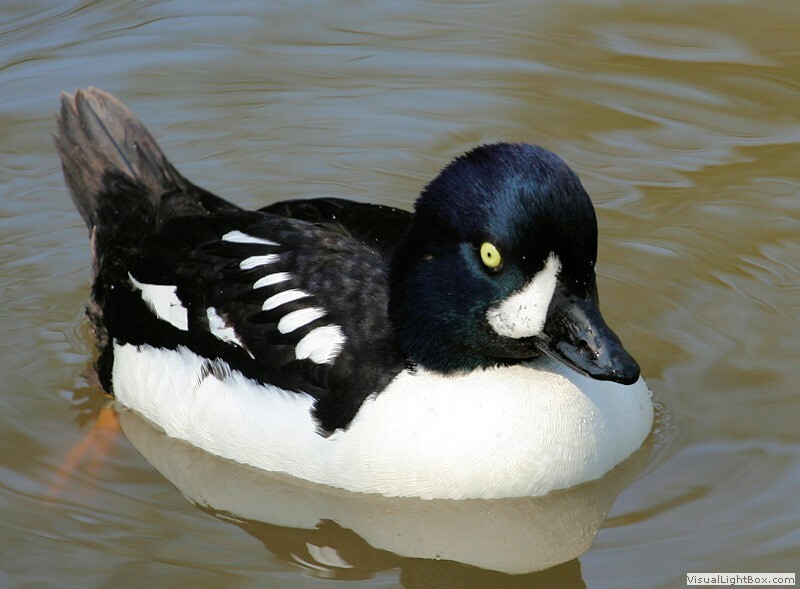 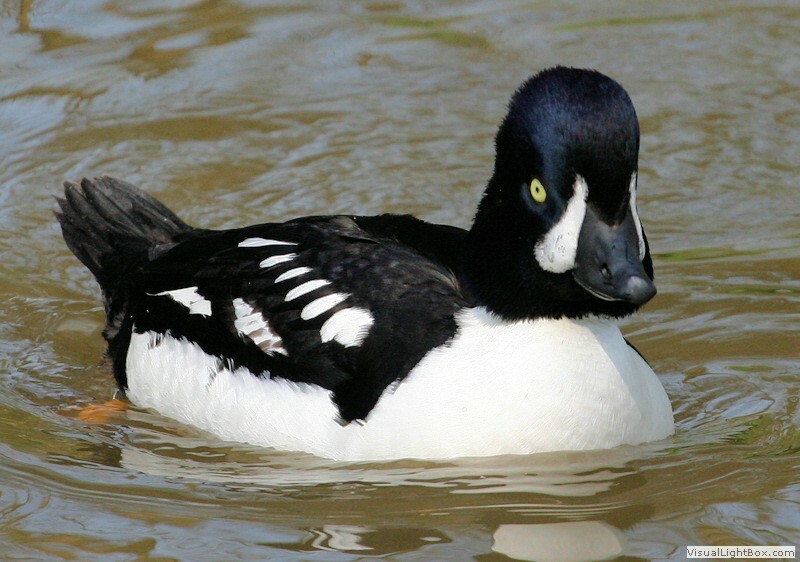 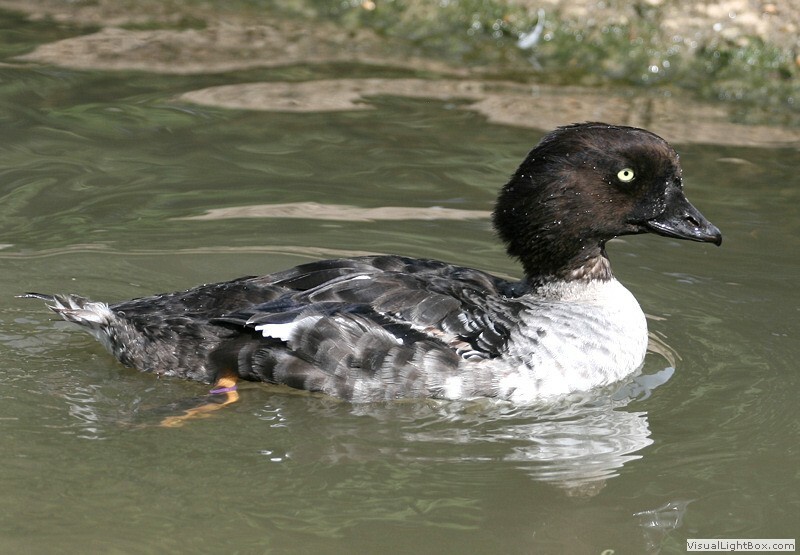 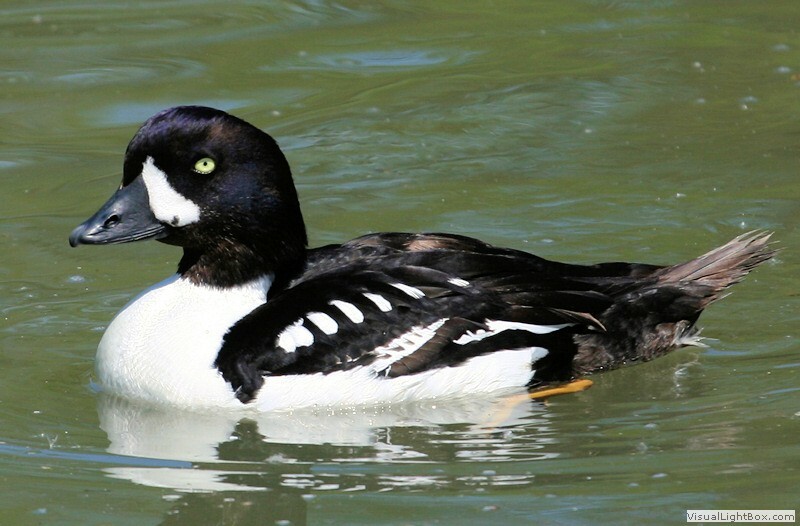 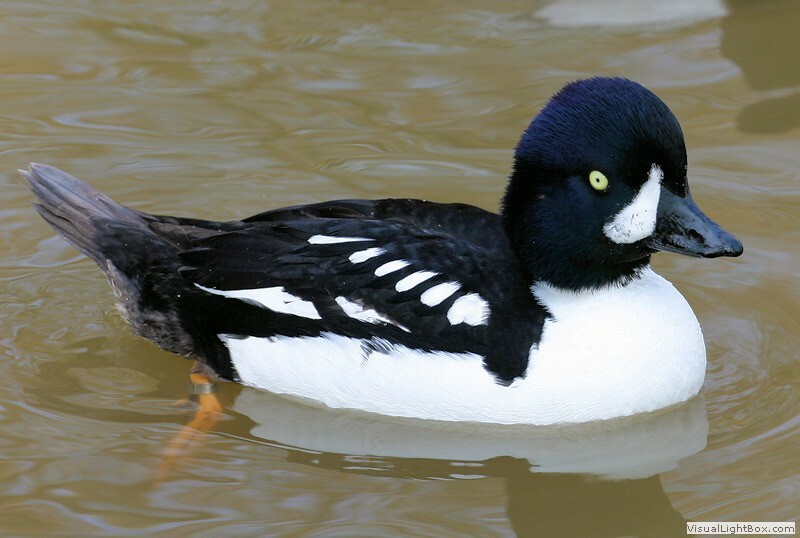 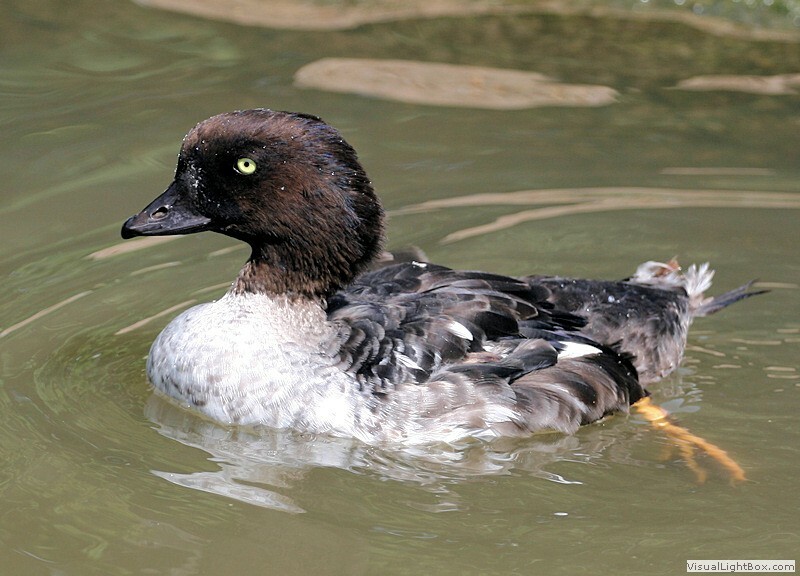 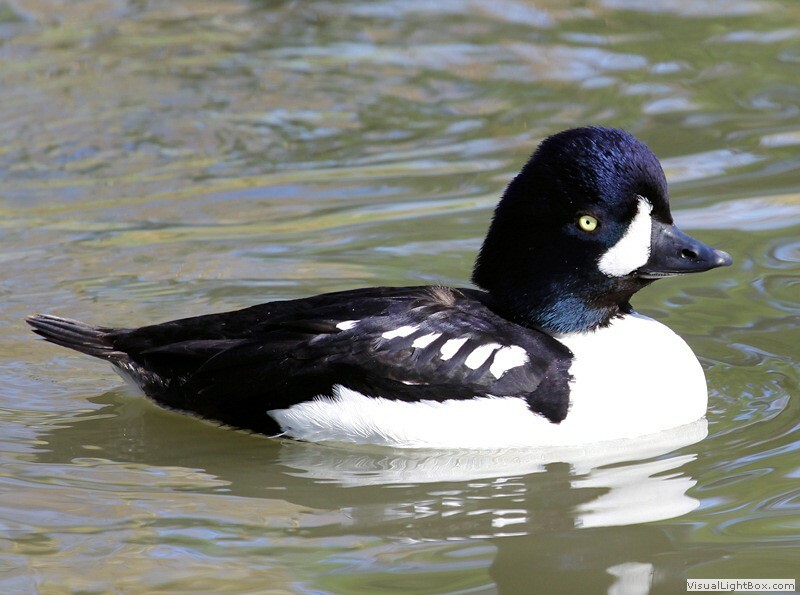 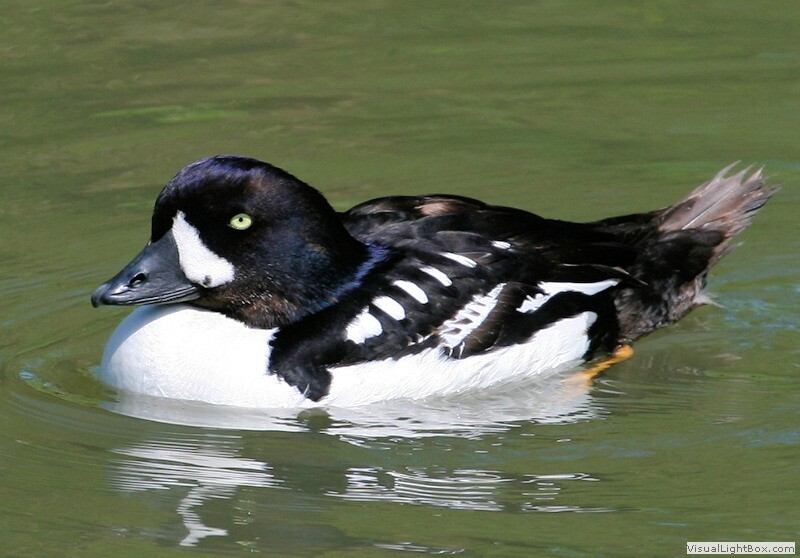 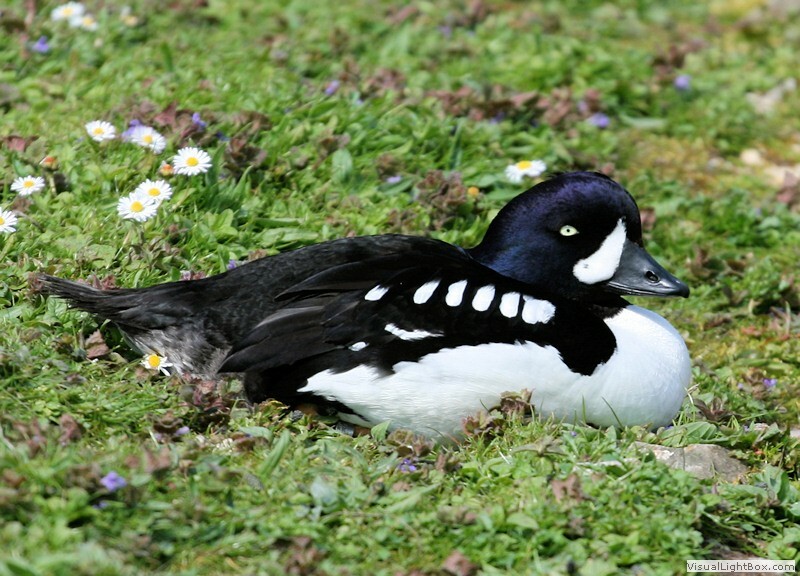 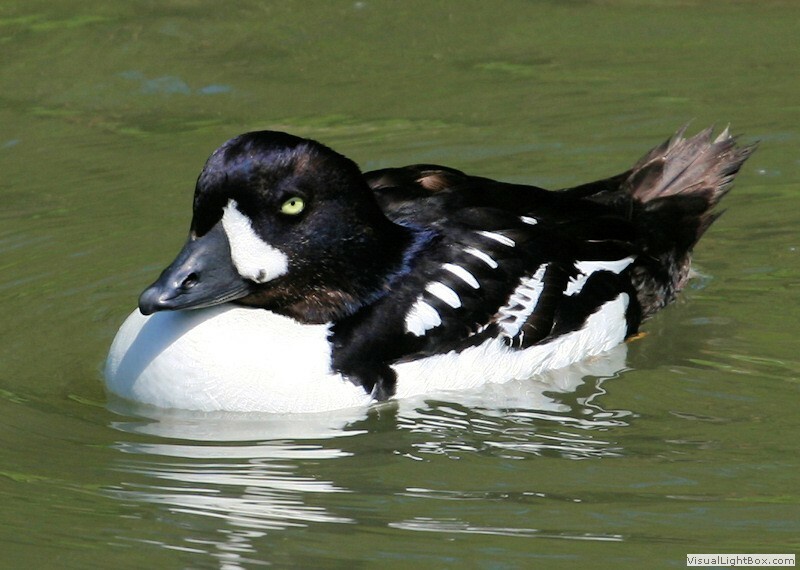 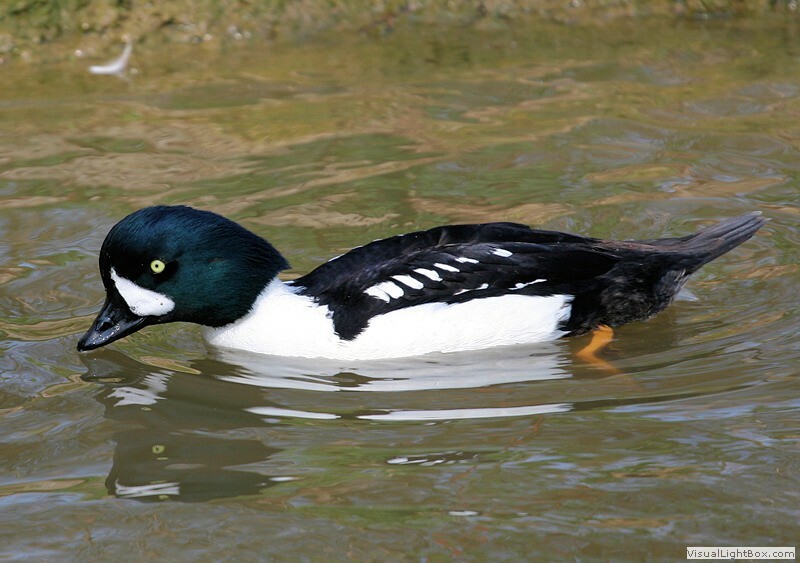 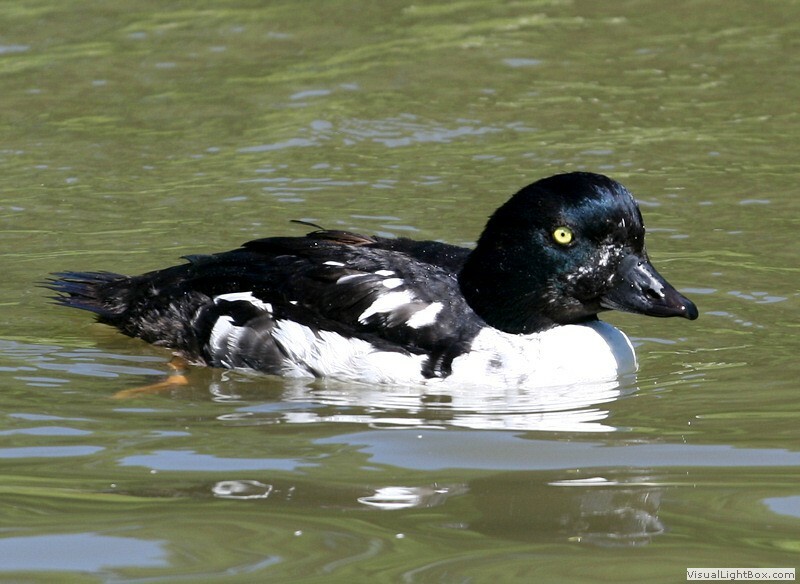 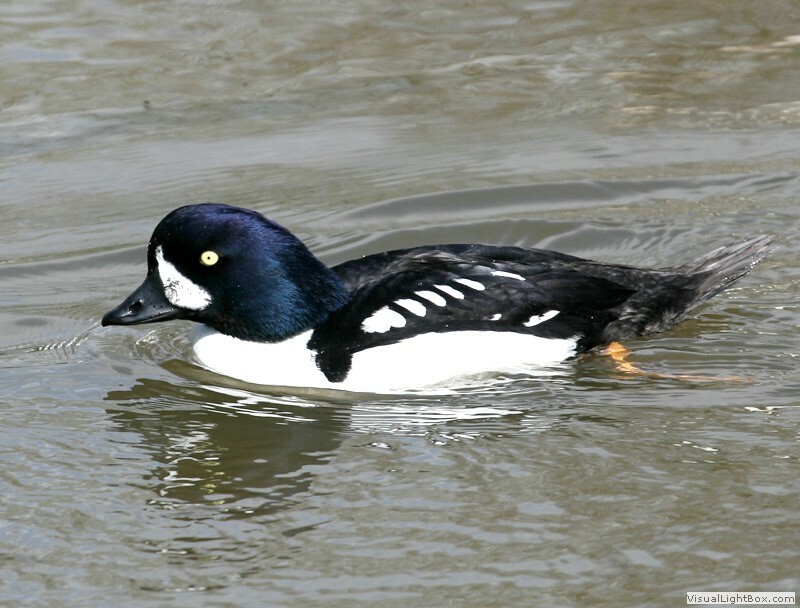 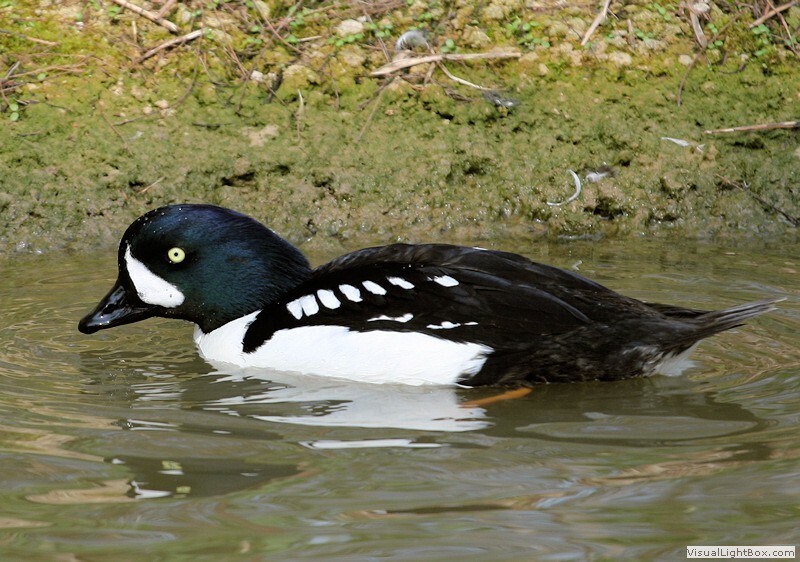 Notes: - The Barrow's Goldeneye is a medium sized sea duck and is named after Sir John Barrow. 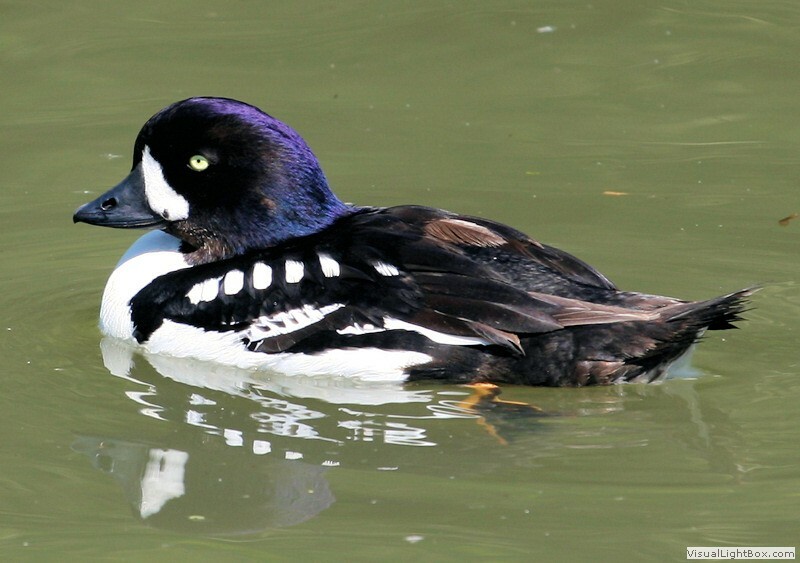 This duck usually nests in tree cavities.